This dinner is part of our Brexit series and reflects our aim to include the views of important member states in the EU27 in the debate around the post-Brexit future of the European banking and finance industry. We published a paper earlier this year on ‘What the rest of the EU thinks about Brexit and the City’ which you can download here, and you can read a short summary of our recent dinner on Brexit with the Dutch Ambassador here. 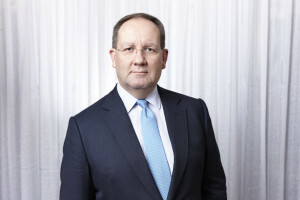 Felix Hufeld is President of Bafin, the German banking and securities regulator. Mr Hufeld will discuss the main German concerns and priorities in the negotiations ahead, the outlook for the future landscape of financial services in the EU (including the role of Frankfurt as a financial centre), the future of supervisory and regulatory cooperation, and the potential impact of Brexit on the future direction of EU regulation. The audience will be a combination of executives in different roles (including senior execs, COO, policy) from asset management and investment banking.